The Indian Army has rejected home-made assault rifles meant to replace AK-47s and INSAS rifles due to quality issues, sources said. The Ordnance Factory Board manufactured the assault rifles. The assault rifle manufactured by the Ordinance Factory Board (OFB) failed basic tests. In a major setback to Prime Minister Narendra Modi's Make In India initiative, the Army has rejected home-made 7.62 x51 mm assault rifles that were meant to replace AK-47s and INSAS rifles, the basic weapon used by jawans. 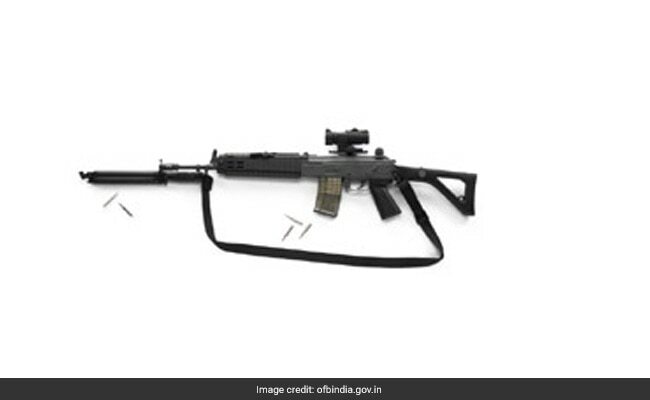 NDTV has learnt that the indigenous assault rifle manufactured by the government's Ordnance Factory Board (OFB) failed basic tests last week. It had many faults, according to Army sources, including excessive recoil and "excessive flash and sound signature", which makes the gun indiscreet in combat. Sources said a "complete redesigning of the magazine" is needed to make loading the rifle easier. Safety mechanisms were also problematic with the rifle which had an "excessive number of faults and stoppages [during trials] to the extent of more than twenty times the maximum permissible standards." Last year, the Army rejected an earlier indigenous rifle called the Excalibur. According to sources, the 5.56 mm Excalibur does not meet the firepower requirements of the Army. According to sources, "the Excalibur Rifle was considered only as a possible replacement for the in-service 5.56 mm INSAS rifle. Since major shortcomings were noticed during comparative trials, the option was not pursued." With no acceptable domestic assault rifle that fits its requirements, the Army is being forced to acquire the weapon through the "Buy and Make Global" route which will see international vendors competing in trials before a shortlist is announced. Then, competitive financial bids take place and the winner of the process needs to tie up with Indian companies to manufacture the bulk of the assault rifles in India, a lengthy process that could take years before the first guns enter service with the Indian Army. Tomorrow, key stakeholders from the Army, Air Force, Navy and various branches of the Defence Ministry meet to spell out the precise specifications of the assault rifles that the forces need. The acquisition has already been badly delayed. The government had planned to announce a formal Request for Proposal (RFP) for these guns by April this year. For the moment, the armed forces have not even decided on the exact specifications that they require. As they work out these details, 21 gun manufacturers from around the world have signalled their intention to bid for this contract. The Indian Army last year rejected an earlier indigenous rifle called the Excalibur. Soldiers currently use AK-47s and INSAS or Indian Small Arms System rifles, which are made in India, and were inducted in the Army in 1988 and are meant to be replaced this year with deadlier assault rifles of higher calibre, especially for use along borders and in counter-insurgency operations. PM Modi's Make In India campaign seeks to boost manufacturing including by building an indigenous defence industry that would involve local private arms manufacturers working with foreign firms. India is the world's largest arms importer. The government is forecast to spend $250 billion on modernisation of its armed forces over the next decade. India gets 70 per cent of its arms from abroad. For decades, it has bought off-the-shelf equipment mainly from Russia, which offered to assemble some weaponry locally but little in the way of technology transfers, deemed essential under PM Modi's policies.